Lately there have been lots of earthquakes (two 6.1 magnitude in the last four days) and the volcanoes are really active. There has been no real damage from them but lots of internet chatter. In addition, two of the major volcanoes have been very active. The lava flows from Arenal are near record and the ash spewing from Turrialba is covering the villages below causing the cattle to be moved to new locations. In addition, the rains on the west side of the country are causing mud slides and closing roads all over the country. 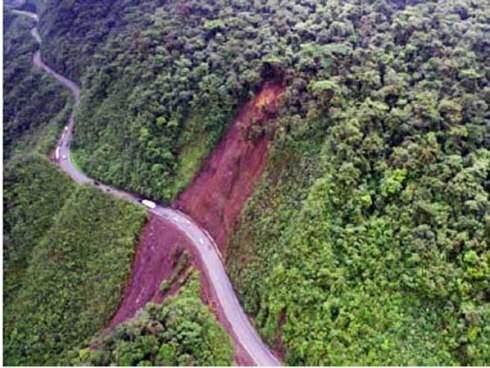 The route that we have to take from San Jose to Limon has been closed off and on all month due to the slides. So why are we so crazy about this country? Because the very things that can cause life to be difficult on occasion are the very things that make the country so diverse and interesting. To be able to watch Arenal at night as the lava flows down its side is a sight that will never be forgotten. It is the second most active volcano in the world but is not considered to be dangerous. The earthquakes are a nuisance but so far have not caused any damage. We are not in the hurricane zones so while we get the rain, we don’t get the terrible winds that cause so many problems. I won’t be a pollyanna though – odds are that we will experience a strong earthquake that does cause damage or a volcanic eruption that disrupts the country. But that is the small price we will have to pay for being able to experience this remarkable country.